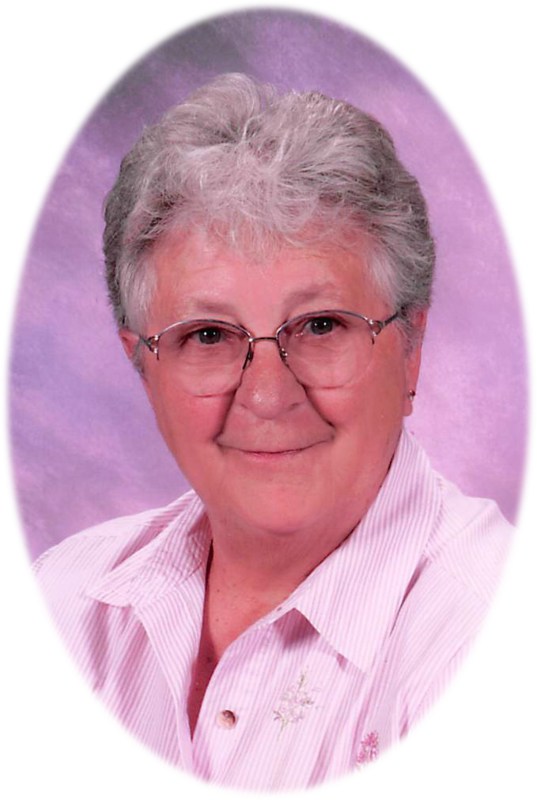 On the evening of January 15, 2019, Theresa Shipp passed away at the Frances Mahon Deaconess Hospital in Glasgow, surrounded by family and friends. She died of natural causes at the age of 81. Theresa was born in Glasgow, MT on August 12, 1937 to Leo and Pauline DeBray. She grew up west of Glasgow, attended Glasgow schools (most of the time), and graduated in 1955 from Glasgow High School. Theresa met Lloyd Shipp and was married on July 22, 1956 at the First Lutheran Church in Glasgow. The couple ranched north of Glasgow and raised five children. Theresa spent many hours helping on the ranch and raising pigs, chickens, sheep, goats and any other animal the kids would talk her into getting. She kept very busy raising a house full of children who were always up to some type of shenanigans. In her later years, she always enjoyed reminiscing about those earlier times. Theresa was a 4-H leader for many years, in addition to being a member of the Cowbells Club and Homemakers Club. She was also a member of the First Lutheran Church in Glasgow. Theresa received employment in the early 1980’s at the ASCS office in Glasgow. She enjoyed working and visiting with the farmers when they came to the office. She developed many friendships during that time and worked at the ASCS until retirement. Theresa thoroughly enjoyed her retirement where she traveled to many places with older people (she was never old). She loved to play the slot machines and looked forward to trips to Four Bears and Wendover. Theresa was an avid quilter and made over 100 baby quilts to donate to the Denver Children’s Hospital. She loved her quilting friends and always looked forward to her quilting retreats with the ladies. Her children, grandchildren and great grandchildren were her pride and joy. Whether it was going paddlefishing with Jaylein, gambling with Patty, hunting elk with Doyle or shopping with Rose, she loved the experiences. Watching her grandchildren and great grandchildren participate in activities, along with spending time with them, and watching football on TV were some of her favorite times. Survivors include her children Jaylein (Les) Nickels, Patty (Dan) Geer, Doyle (Colleen) Shipp and Rosalie (Greg) Spinler; grandchildren Jesse, Krista, Tanner, Lindsey, Wyatt, Joe, Erika, Della, Renee, Kyle, Ryley, Reo, Quinn and Gavin; and 12 great grandchildren. Theresa was preceded in death by her husband, Lloyd; son, Wayne; mother and father, Leo and Pauline DeBray; brother, Jake; and son-in-law, Jeff Geer. Family will receive friends 4:00 – 6:00 p.m., Friday, January 18, 2019 at Bell Mortuary in Glasgow, Montana. Funeral Services will be 10:30 a.m., Saturday, January 19, 2019 at the First Lutheran Church in Glasgow with Pastor Todd Wright officiating. Burial will follow at Highland Cemetery in Glasgow, Montana. A luncheon will follow at the First Lutheran Church. Theresa was the best neighbor we could ever ask for. She will forever hold a special place in our hearts. All of us next door will miss her deeply. We enjoyed time spent outside visiting with her, sharing stories of hunting, fishing and her travels. I am so sorry for your loss! My thoughts and prayers are with your family ! Sorry to hear about your Mom. Hugs and prayers. I am sorry to hear abut Theresa passing. She was a kick. I particularly pleased when she came to Scobey for the Brynlee Oie blanket day. She and Peggy looked like they were having fun. May God comfort you in your loss. We are so sorry for your loss! Praying for all of you! Theresa was always a lot of fun. Her visits with her uncle Adam would have my dad laughing with her at memories of the family antics! She was dearly loved by the Lenz family. My thoughts and prayers are with you. I’m so sorry to hear of Therea’s passing. Our families were good friends as we were growing up. She was a hard worker her whole life. I was happy to hear of her travels and enjoying the fun she deserved. My prayers and thoughts are with you all. I am so sorry to hear of Theresa’s passing. I have many fond memories of Theresa in all the years we worked together at FSA. She will be missed by many. My thoughts and prayers are with you all. Lorel Waarvik Holmes, Derby, West Australia. So sorry for your loss of a very special lady. Also sorry we missed the funeral, as we were in Billings for Dennis Dr appointments. Theresa was always so kind to everyone. I remember how proud she always was of her kids and grandchildren. May all the pictures and special memories help you all through the rough times ahead. We are so sorry for your loss. May your wonderful memories of Theresa sooth your hearts during this difficult time. Peace be with you all.